When you login to EggZack you'll notice that your Platform Layout, also known as a User Interface, has a new look! We've made this change to make using EggZack easier for you. The more actively used modules of the platform are concentrated on the left, while the lesser used modules are towards the right. You still have all of the same tools with a simpler way to navigate through the system. For example, "Promote" is now "Post". Click "Post" and you'll see the first step to posting is now selecting the type of post you want to send: Offer, News, or Event. Then, you'll see the familiar page to enter Title, Body, and add Image. You'll see some settings are now hidden under a new "Advanced Settings" button. To learn more about our new layout click HERE. 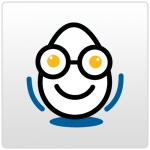 For any questions or feedback, email us at ezhelp@eggzack.com.